It’s a new year and you know what that means: new discounts on your favorite products and services. We’ve rounded up our favorite deals on electronics, video games, accessories and more. But hurry, these prices won’t last forever! 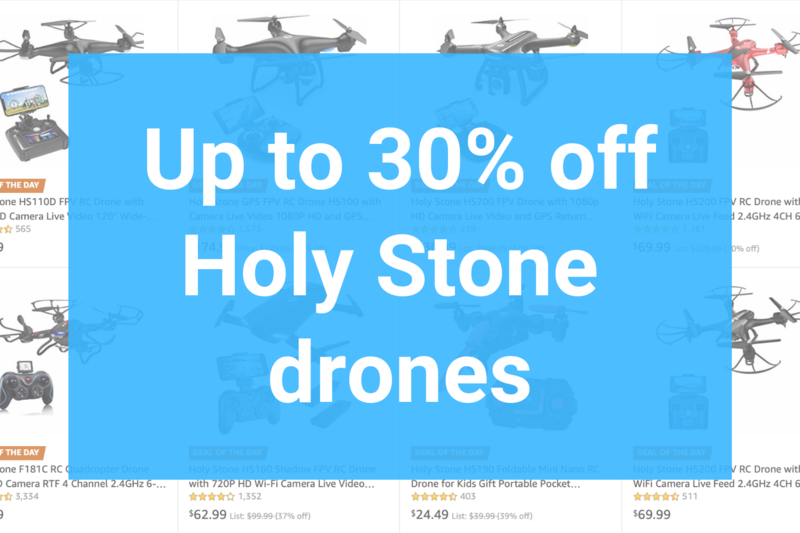 Amazon is taking up to 30% off of Holy Stone’s drone collection as part of its Deal of the Day promotion. These drones range in price from $30 to $230, with select models offering top features like 1080P HD video, live camera feed and GPS return. And they all have 4-star customer reviews or higher. Hurry, these prices expire tonight! This is the 128GB Wi-Fi model, and it’s available in Gold or Space Gray.